Two day jazz improvisation workshop – 21st / 22nd April 2018. 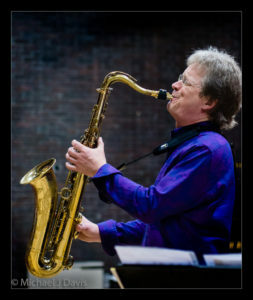 We welcome back Mike Hall, head of Jazz Studies at the RNCM in Manchester, for a two day jazz improvisation workshop. This course is open to beginner, intermediate and advanced improvisers. No matter your current level we here at JazzSmart are convinced that Mike’s structured and well thought out approach to improvising will allow you to break free from your constraints to improvise more freely than before. Perfect for people who would like to improvise but haven’t had the courage before to do so. Mike will have you on the road to improvising and enjoying jazz as a participant rather than a spectator. This workshop is now in its third year and sells out every time so please book your place early to avoid disappointment. 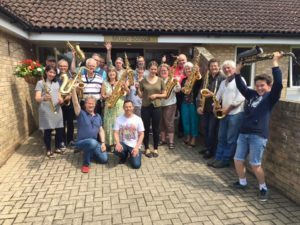 Based again at Durlston Court School on the Dorset / Hampshire border, with excellent facilities in a purpose built music block, the weekend is a must if you enjoy playing the Saxophone and want to improve your Saxophone, jazz phrasing and improvisation skills further. Priced competitively at £135 for two days including a hot lunch, hot and cold refreshments. We cater for needs such as vegetarian, gluten intolerance etc. There will be a Jam Session locally on the Saturday night, all welcome (free). Venue to be announced. We have now set it up for you to be able to book easier than ever before. Book via ticketsource fast and secure. Alternatively if you have any questions on the suitability of this course for you we will be happy to help. Contact at info@jazzsmart.com or by calling 07708 091675 and we will be happy to discuss your needs further. As an approximate guideline; be able to play around Grade 3 standard. Please note, this does not mean you need Grade 3 qualification, it means your current playing level should be of this standard or better. Mike also has an alternative guideline of being able to play your major scales up to 4 sharps and flats. You can however be totally new to improvising, having a good solid foundation on the instrument is key foremost. Regardless of your current level, we here at JazzSmart are committed to providing tuition and support at a pace that allows you to absorb salient points while good progress and motivation is maintained. What do we mean by "grades" as a measuring tool? We use the ABRSM/Trinity "classical" syllabus, but in most respects this applies to the Jazz grades as well. If you haven't taken any grades then please contact us to discuss suitability. You will need to bring your own instrument and instrument stand. Participants of all ages are welcome. Please note: Participants under 18 will need to provide parent/ guardian contact details. We provide a hot lunch each day and hot/cold refreshments for the breaks. Price for this two day workshop is only £135.